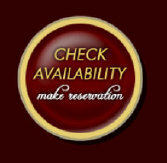 You will receive a voucher if you cancel within 15 days of arrival date minus 20% service charge. No refund for early departure. Victorian Country Inn B&B LLC., or it&apos;s hosts are not responsible for accidents or lost items.